← Bougainville reflections :For the mothers, peace in Panguna has come in many respects. Deputi Spika blong Autonomous Bougainville Gavman, Francesca Semoso em i salim bikpela tok tengkyu long gavman na pipol blong Australia long help ol i bin wok long givim Autonomous Region blong Bougainville. Australia is supporting two new projects aimed at improving leadership skills and voter awareness among women in the Autonomous Region of Bougainville. 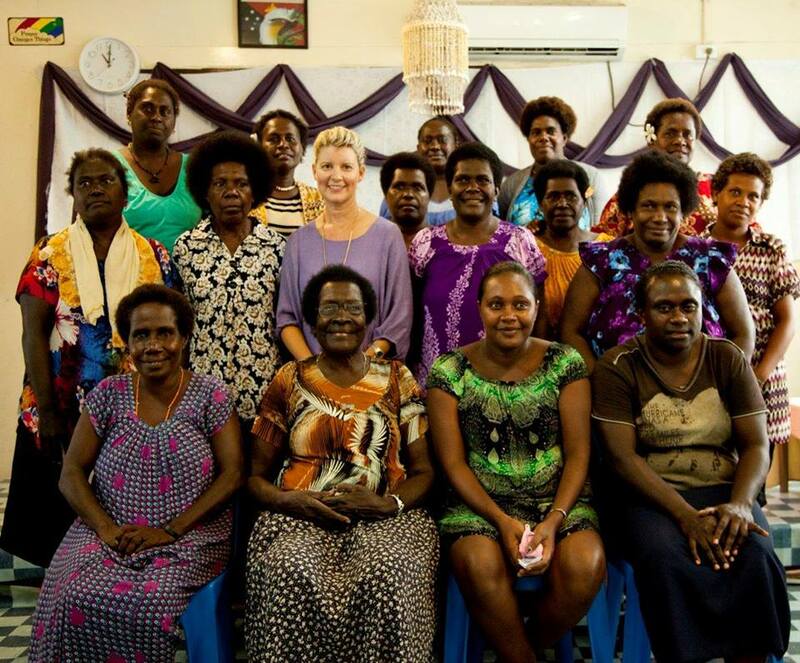 Australia’s Ambassador for Women and Girls, Natasha Stott Despoja, today launched the Young Women’s Leadership and the Voter Awareness and Leadership Education projects while on a visit to Bougainville. Funded through the Australian aid program, the K2.8 million Young Women’s Leadership Project will support young women to build leadership skills and confidence to have a greater voice in local and regional government affairs and policy development. The K1 million Voter Awareness and Leadership Education project will assist men and women to fully participate in and understand democratic processes. “The project will emphasise the value of women candidates and promote men’s respect for the rights of their wives and partners to choose who they wish to vote for,” Ambassador Stott Despoja said. Australia supports gender equality in the Autonomous Bougainville Government through a jointly developed and agreed to gender investment plan (2014-19) valued at $14 million. The plan focuses on three key areas: to reduce gender-based violence and provide support services for survivors; strengthen women’s leadership and influence in decision-making; and improve women’s economic opportunities. In consultation with the PNG Government and the Autonomous Bougainville Government (ABG), Australia is increasing its aid to Bougainville to support stability by strengthening governance and service delivery, promoting social cohesion and economic growth, and empowering women and youth. Long nau ia, gavman blong Australia igat wanpela 14 million dollar 2014-2019 program wantaim ABG long sait long helpim ol meri. Stat long Trinde ikam inap long tede, Ambassador blong Australia long sait long ol meri na gels, Natasha Stott Despoja em ibin visitim Bougainville. Long Trinde em ibin lonsim Bougainville Women’s Federation facilities long Buka. Ms Despoja ibin bungim to ol 4 pela meri insait long ABG palamen. Na Francesca Semoso husat i memba makim ol meri long North Bougainville i tok ol meri lida ia ibin tokim Ms Despoja long go toksave long bikpela tengkyu long gavman blong Australia long olgeta help long olgeta yia.